Mommy Monday: What I Got for Christmas! First up was my MacBook Air complete with a pink skin. I love this!! This was my big present from Jonathan as my old laptop's screen was smashed and he knows that one of my goals for the year is to do a lot more with my blog. I needed something light, portable and easy to use. This is the 13" MacBook Air with a Tech21 Impact Snap Case in Pink. 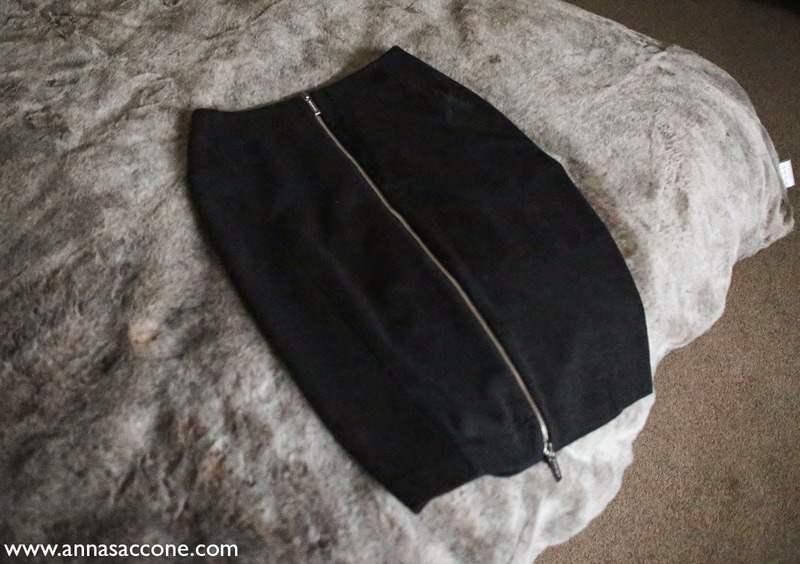 Next up was my grey pencil skirt with a silver zip detail from Michael Kors. 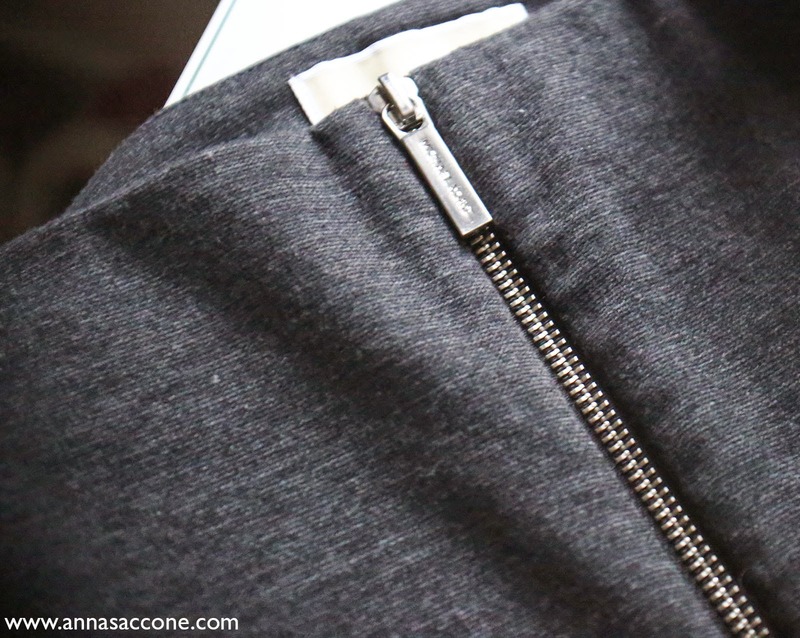 I got this as part of my Christmas outfit which, if you've been keeping up with my blog over December you will have seen me wear in this post. I bought this with the intention of it becoming a staple in my wardrobe as I feel like it's something I can wear over & over with different shirts/blouses/jumpers and it could be quite versatile. 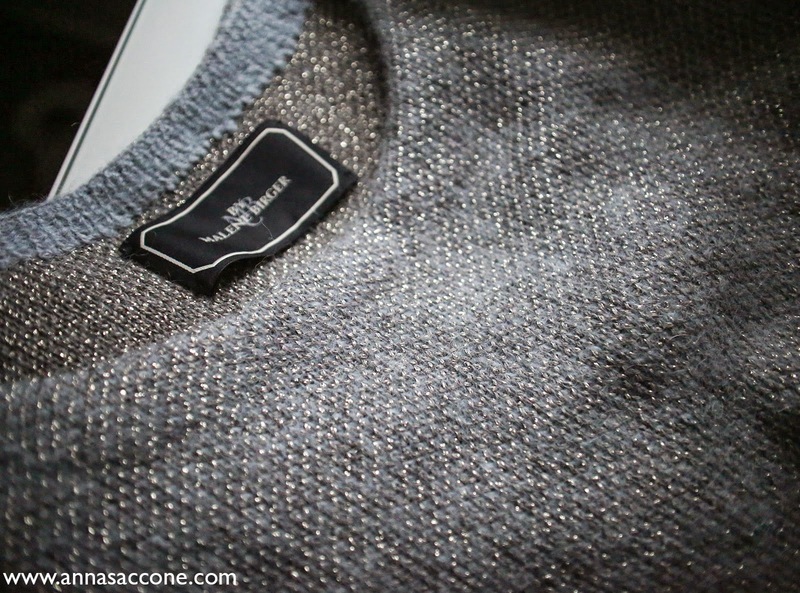 The other item I got was a blueish grey oversized jumper with a metallic thread running through it from By Malene Birger. 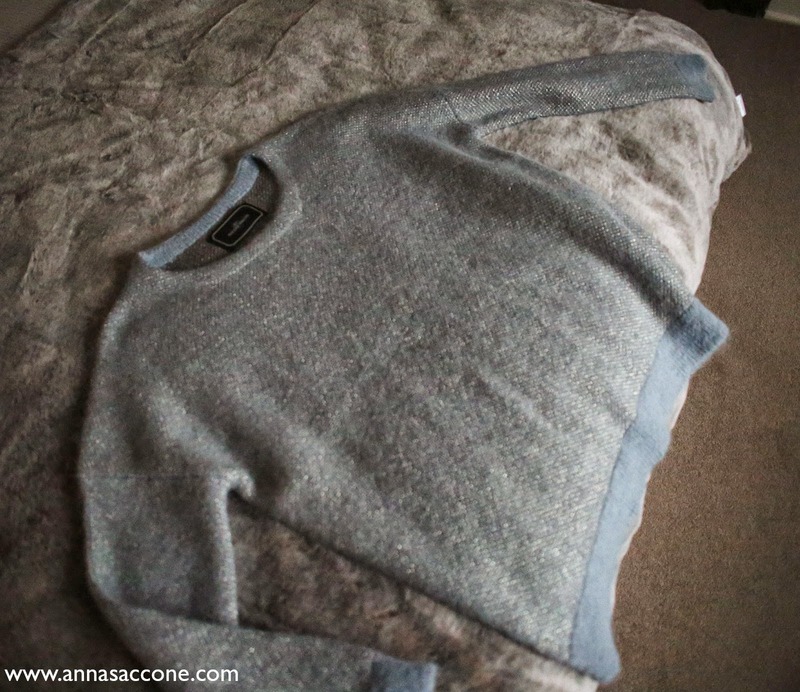 This is an absolutely gorgeous piece that I'm so excited about...it's such a cosy jumper that you can dress up or down and style lots of ways, either casual with jeans & boots or glammed up with a shirt & pencil skirt like how I wore it on Christmas Day. 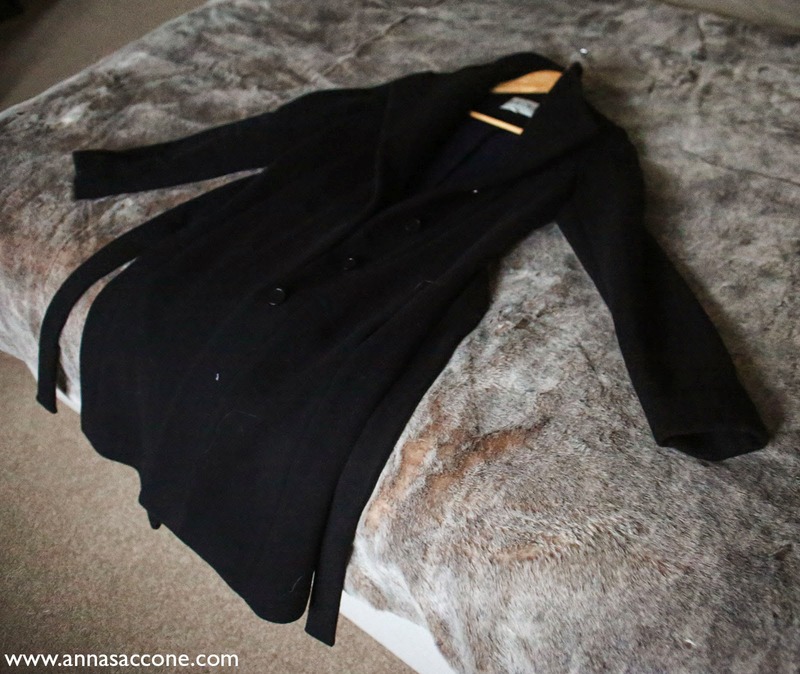 Last but not least is my black winter coat from Reiss which I dedicated an entire blog post to last week! This was definitely an investment buy but I tend to keep quality items in my wardrobe for years & years so I think it was worth it. It's a timeless, collarless coat in a classic colour with hidden buttons which makes it very streamlined & understated so you can pair it with anything! Here is the video I filmed on what I got for Christmas if you guys would like to watch! From now on I am going to be uploading weekly videos on my channel every Monday at 7pm, so stay tuned! That coat is gorgeous and I love the jumper! I am in love with your MacBook as well! I love Marlene Birger. It is a popular (and expensive hehe) brand here in Scandinavia. I got myself a lovely purse from the Marlene Birger january sales today and it makes me happy that you dress in her clothes Anna! I also got a new laptop for Christmas this year, I love the case you have on yours, it looks extremely practical! I should probably invest in a case like yours because i'm always worried that I might bump mine and it'll scratch. Great post! Hi Anna! What is the case that you have on your MacBook air? I have the same computer and am on the hunt for a new computer case!! Love yours. Merry Christmas and happy New Year! Oooo I love that jumper! I always say that if you can afford it, or even just can afford to save up in my case, to buy more expensive but classic, high quality clothes... do it. It WILL last longer, it's better for the environment... and it's so expensive you'll most likely use it more. Loving the new blog Anna and the coat and skirt are so cute. I would definitely love a Macbook for my blogging and photography, Jonathan treated you well! Absolutely love the jumper. It's to die for! How sweet to give you a macbook. You really received some nice gifts. Jumper looks so nice and MacBook is awsome present! Hi Anna! Where is your Mac pink case from? Loving it!!! Lovely gifts and I want a MacBook as well and I really need to save up for one. Your new MacBook looks divine and I absolutely love that jumper, I have no idea how you take such amazing photos! Beautiful jumper/sweater and coat...all lovely gifts!! Thanks for sharing them all with us. I love the pink case!! That MacBook is such an amazing gift. Happy new year! I loved the style of videos you did over the summer that included your outfit, what you're eating, and a bit about your day. Jonathan was really nice to give you a macbook! I love how he supports you and your interests and aspirations (in this case the blog)! I love the zip on that skirt!